Have you heard the beautiful and moving account of the town of Gander, and the hospitality extended by them immediately following the horrific events of September 11, 2001 in New York? Did you know? 7,000 passengers were stranded in this tiny town of Gander, a small Canadian town on an island in the North Atlantic Ocean. These folks, who live there in the northeastern part of the island of Newfoundland, with open loving, arms, graciously welcomed the misplaced passengers. The rest of the story is an unforgettable tale of acceptance of strangers, come what may. Click Here to view a short YouTube video of the Gander, Newfoundland events that led to an unexpected and extraordinary gift of hospitality. 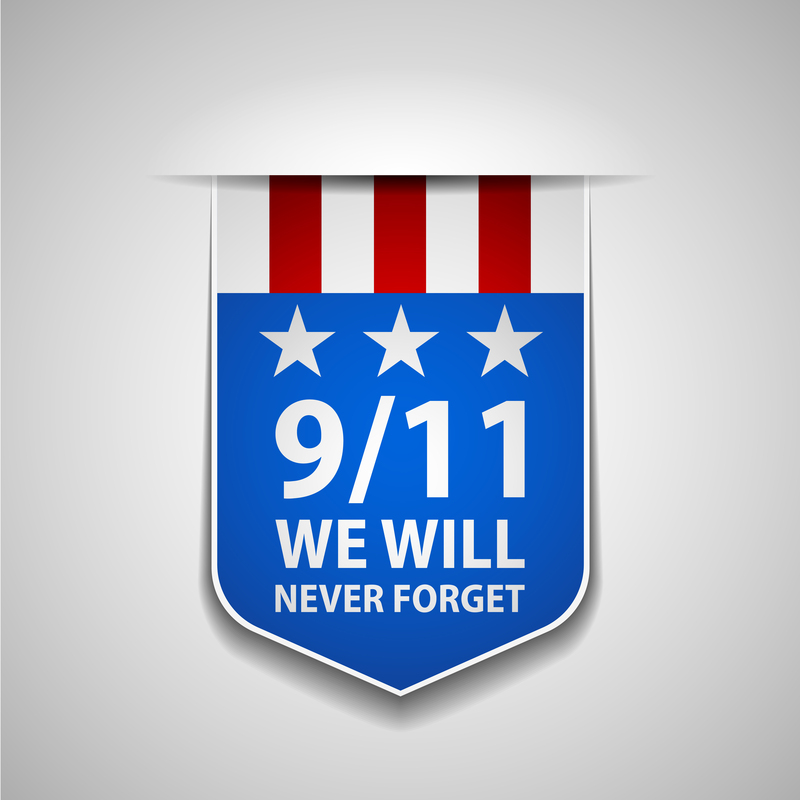 As the 17th anniversary 9/11 is upon us, recalling all the incredibly tragic details of that time, here you will find a true tale of the days after 9/1/01 that is sure to life your spirits. I had never heard it before. Maybe it will be new to you, as well. No one said a word about what this could mean. We knew it was a serious situation and we needed to find terra firma quickly. The captain determined that the nearest airport was 400 miles behind us in Gander, Newfoundland. He requested approval for a route change from the Canadian traffic controller and approval was granted immediately — no questions asked. We found out later, of course, why there was no hesitation in approving our request. While the flight crew prepared the airplane for landing, another message arrived from Atlanta telling us about some terrorist activity in the New York area. A few minutes later word came in about the hijackings. We decided to LIE to the passengers while we were still in the air. We told them the plane had a simple instrument problem and that we needed to land at the nearest airport in Gander, Newfoundland, to have it checked out. We promised to give more information after landing in Gander. There was much grumbling among the passengers, but that’s nothing new! Forty minutes later, we landed in Gander. Local time at Gander was 12:30 PM …. that’s 11:00 AM EST. world that had taken this detour on their way to the US. After we parked on the ramp, the captain made the following announcement: “Ladies and gentlemen, you must be wondering if all these airplanes around us have the same instrument problem as we have. The reality is that we are here for another reason.” Then he went on to explain the little bit we knew about the situation in the US. There were loud gasps and stares of disbelief. The captain informed passengers that Ground control in Gander told us to stay put. In the next hour or so more planes landed and Gander ended up with 53 airplanes from all over the world, 27 of which were US commercial jets. Meanwhile, bits of news started to come in over the aircraft radio and for the first time we learned that airplanes were flown into the World Trade Center in New York and into the Pentagon in DC. We had been told earlier that they would be allowing people off the planes one plane at a time. At 6 PM, Gander airport told us that our turn to deplane would be 11 am the next morning. Passengers were not happy, but they simply resigned themselves to this news without much noise and started to prepare themselves to spend the night on the airplane. Gander had promised us medical attention, if needed, water, and lavatory servicing.And they were true to their word. Fortunately, we had no medical situations to worry about. We did have a young lady who was 33 weeks into her pregnancy. We took REALLY good care of her. The night passed without incident despite the uncomfortable sleeping arrangements. About 10:30 on the morning of the 12th a convoy of school buses showed up. We got off the plane and were taken to the terminal where we went through Immigration and Customs and then had to register with the Red Cross. We had no idea where our passengers were going. We learned from the Red Cross that the town of Gander has a population of 10,400 people and they had about 10,500 passengers to take care of from all the airplanes that were forced into Gander! We were told to just relax at the hotel and we would be contacted when the US airports opened again, but not to expect that call for a while. Meanwhile, we had lots of time on our hands and found that the people of Gander were extremely friendly. They started calling us the “plane people.” We enjoyed their hospitality, explored the town of Gander and ended up having a pretty good time. Two days later, we got that call and were taken back to the Gander airport. Back on the plane, we were reunited with the passengers and found out what they had been doing for the past two days. What we found out was incredible…..
During the day, passengers were offered “Excursion” trips. Some people went on boat cruises of the lakes and harbors. Some went for hikes in the local forests. Local bakeries stayed open to make fresh bread for the guests. there are in the world. helpful just get a lot more press. This inspiring story has become a Broadway Musical: Come From Away, that I hope to see at The Fabulous Fox in Atlanta in the new year. Click here to catch a glimpse of this incredible play. The “Plane People” even returned to thank Gander one decade after their gift of kindness and hospitality was displayed for the entire world to see. 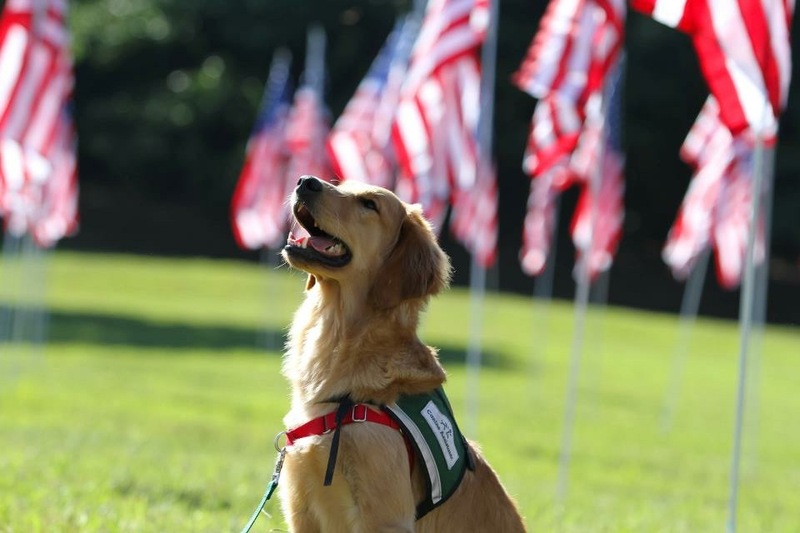 Click Here to read about that poignant reunion on September 11, 2011. Hurting hearts and painful paths come with the tremendous challenges surrounding depression and suicide. Mental illness is a palpable concern in our lives these days, and we must increase the dialogue. Complicated? Yes. Grueling and toilsome? Yes. Still we must start talking more openly about this suffering that so many souls deal with much too often. Our family has an especially heavy heart today. We have recently learned of a much-loved young man, age 25, ending his life this past weekend. A sufferer of depression, our friend was treated with meds, placed in residential settings, loved by many, and monitored carefully by his devoted parents and sibs. However, while our hearts ache, this post is not about our dear friends’ tragic circumstances, it is far too raw and personal. They will rely on God, family and friends to walk down this horrific and painful path. Instead, I will share, with permission, another story that has been made public. My hope is to shed some light on this extremely difficult subject. Questions are left unanswered. This reminds me of a song from one of my all-time favorite movies, “A Walk To Remember” starring Mandy Moore and Shane West. Click here to listen to Someday We’ll Know. Yes, we must increase our dialogue, open our hearts to more sharing regarding depression, mental illness of all kinds, and death by suicide. Click here to watch this five-minute video with my friend, Kristen sharing her heart with us regarding her mother’s death by suicide. After Kristen’s Mom’s passing on November 5, 2011, a spark grew inside of Kristen’s heart to start a non-profit called Kids Boost. This mission allows children to see what it feels like to be a giver, to make an impact in areas they are interested in helping in. 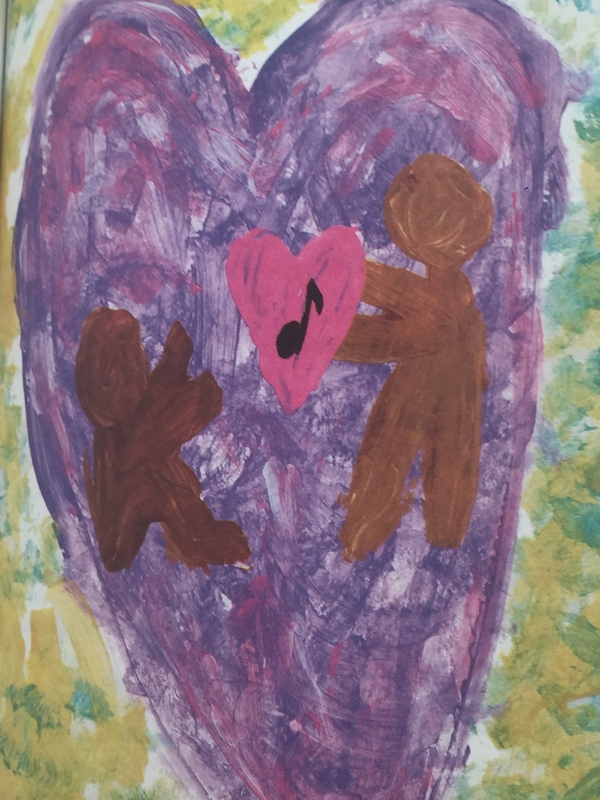 If you still have children under your roof, I hope you will check out Kristen’s work and join in. Donate: Generous donor makes donation to Kids Boost. Example: Donor John Smith contributes $100 to the Kids Boost General Fund to jumpstart a new Kids Boost project.2. Connect To Cause: Child chooses a cause important to him or her. Example: Weston, 12 years old, signs up for Kids Boost and declares he would like to fundraise for the Special Olympics in honor of his brother who has special needs. 3. Innovate: Child receives startup money and coaching support from Kids Boost. Example: Kids Boost provides Weston with $100 in startup funding and a coach to help him implement his project “Run the Bases Marathon.” Weston uses the $100 to create flyers for the event and provide drinks and pizza for all the participants. A local ballpark donates field time and Weston’s dad volunteers to be the PA announcer and “scorekeeper” at the event. A family friend donates time and a few huge speakers to add fun music at the event. The local dollar store donates balloons. Kristen, founder of the Non-Profit Kids Boost is going places with her enthusiasm and great ideas! 4. Multiply: Child Boosts multiplies funds and awareness for chosen charity. Example: All the teams in Weston’s baseball league volunteer to participate by running as many bases as they can in an allotted time frame. Each base runner volunteer collects pledges for the number of bases he runs. Weston’s “Run the Bases Marathon” raises $500 for Special Olympics. 5. Pay It Forward: 80% of the total raised goes to the charity of the child’s choice. 20% goes back to Kids Boost to help another child participate. Example: Weston presents a check for $400 (80% of the total raised) to Special Olympics. $100(20% of the total raised) goes back to Kids Boost to help another kid get started on another project. Donor John Smith sees a huge return on his investment plus the intangible benefits to Weston and his base running friends. Let’s please start now talking more openly about the pain and truth of mental illness…. Today, I want to share with you three touchstones of showing up. Acts of love that will truly help during difficult seasons of life. When is the last time you heard some grueling news about someone you know? A few days ago, a week or month ago? It seems the older we get, the more frequent it is. Someone has a new health diagnosis. 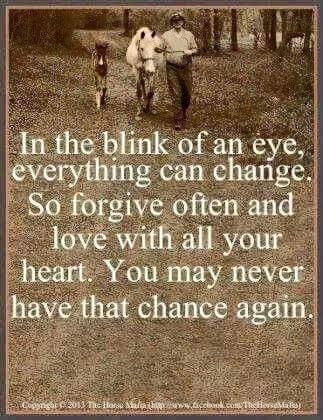 A tragedy has happened in a family you love or a marriage has split up. Someone has passed suddenly. The news breaks our heart, and as believers, we promise to pray. In addition to praying, in our heart of hearts, we want to “do something”. We want to ease the stress in the lives of others who are hurting. Up until her passing on October 24, 2006, my Mama had a ministry of sending greeting cards, and I have enjoyed doing this for decades. Sometimes, though, we want to do more. I picked up a cool book recently, THERE IS NO GOOD CARD FOR THIS: WHAT TO SAY and DO WHEN LIFE IS SCARY, AWFUL, and UNFAIR TO PEOPLE YOU LOVE By, Kelsey Crowe, PhD. and Emily McDowell. This book gives many great ideas about how to best reach out when someone you love is going through a hard time. Here, I will give you just a fraction of what I learned in this quick, colorful, informative read. (1) Your kindness is your credential. (page 58) “At its core, kindness is a total absence of ego and self-interest in doing something for someone else. The defining feature of kindness is that it comes unsolicited, and in its most awe-inspiring moments, it comes to the aid of those who are shunned. ” (page 60) Kindness comes from a basic social emotion: compassion. Compassion is to Notice, Feel, and Respond. (3) Small gestures make a big difference. (page 145) “Sometimes, what’s holding us back from offering comfort isn’t that we don’t care enough, but that we don’t feel we have the time or the bandwidth to do something that will make a difference. We may feel that we have to be 100 percent available all the time when we’re around someone in a tough situation. It’s not unreasonable to think that saying ‘I’m sorry’ is an inadequate response to, say, the loss of a loved one. Or that asking ‘How are you?’ and genuinely wanting to know means we are then responsible for talking with this person about their situation until the end of time. The good news is these fears are normal. The better news is these fears are not rational. Empathy Tip: (page 167) “The sick, grieving, or freaked-out person ALWAYS gets a pass. Always offer up your gift with a ‘No need to write a thank-you.” And mean it. In the days and weeks ahead, how can you and I better love the hurting folks who end up directly in our life path? My friend, Nancy R. Chalmers has recently published her book entitled, “No One Visits the Mother of a Drug Addict.” This autobiographical story recounts the author’s experiences as she endured her son’s addiction, the physical, emotional and spiritual turmoil the addiction was on her and the entire family. The center is filled with family pictures illustrating their journey. Readers are given a firsthand look at how drug addiction took over her son, Andrew’s life, straight from her heart. This personal story took a ton of courage, bravery, as well as a hefty dose of vulnerability. This story is not just for parents of addicts, but for families who find themselves in a hard season that seems impossible to change. It is Nancy’s sincere hope and prayer that many families will begin to heal, not only from the tragedy of substance abuse, but from any number of difficult circumstances that happen around our globe on a regular basis. It is this author’s belief that the path to wholeness starts with brokenness, and that “healing” is our God’s specialty since we are His creation. I agree with her. In this personal account, Nancy also reminds us how telling our story…to a trustworthy soul…can offer healing beyond measure. She is very thankful for the one friend who reached out on a regular basis to be “Jesus with skin on” for this hurting Mom. Thankfully, Andrew survived this devastating disease, and one day at a time, he is sharing his story through a ministry he started called Take The City. Andrew now has a heart for those who are lost and in the throes of this debilitating lifestyle of substance abuse. Andrew and his family are indebted to the program Teen Challenge which literally helped to save his life. A portion of the proceeds from Nancy’s book will provide scholarships to those needing to enter the recovery program of Teen Challenge. At the close of her story, Nancy offers a 15 page Reflections Study Guide for hurting families. She begins it by again, reminding us that healing begins when we share our stories in a safe, confidential space. What is going on in your family? Who are the players in your drama? How is all this affecting you? Describe your most recent challenge or storm and how you responded. To whom do you share this problem, where do you go for good counsel? How do you find comfort? Click here to listen to an old hymn which came up often and ministered greatly to Nancy during this dark season of her life journey. The Virginia Creeper Trail on October 15, 2016. Taylor’s friends ride on! There are life lessons to learn at every turn…even from a trail. 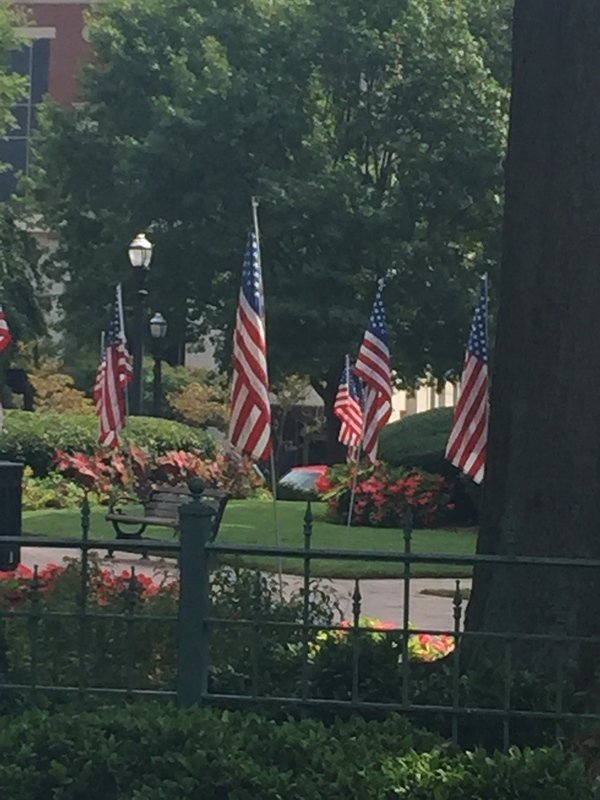 One week ago today, Donny and I were in the quaint town of Abingdon, Virginia for another visit. Many, like us, drove from all around to attend the 2nd annual Rails To River, Ride For Taylor, gathered to celebrate a life well lived. As I took the 8.5 mile bike ride from the Abingdon trailhead to Taylor’s shelter on the Virginia Creeper Trail, I kept thinking about “beauty from ashes, he brings beauty from ashes.” How does one bring beauty from ashes? Only God, our Creator can do that and on this Saturday, October 15, 2016, we witnessed again and again him doing just that, bringing joy to sorrow, bringing beauty from ashes. I know God’s working, so I smile. As the day continued at Alvaredo Station, we saw examples over and over of this very thing: Nearly 200 hundred gathered… a gorgeous sunny, fall day… a wonderful bluegrass ensemble…loads of family and friends together… an inspirational word from the Virginia Creeper Trail Club President… Taylor’s buddies traveling from far and wide, even from Hawaii to join in the celebration of Taylor Heston Read’s life… “Taylor’s Prayer” being read in unison by all the guests led by his Dad, Paul Read, and many more examples of God bringing beauty from ashes. Taylor’s Grandfather, David and Taylor’s Mom, Kelly, listen as Paul shares with the group. “Whenever we were about to say grace, Taylor would eagerly agree to bless the meal, knowing that I may take entirely too long if I was the one who gave the thanks. So Taylor was known for his short, simple, yet meaningful prayer. Taylor’s shelter is located here along The Holston River and beside The Virginia Creeper Trail. Hanging out in Taylor’s Shelter! The Virginia Creeper Trail, then, is a laboratory of the spirit, for the hidden Hagar in all of God’s children. In this era of rugged individualists, we are wooed into believing that we ‘make it” in this world through self-generated sweat and ingenuity. We foolishly become our own gods, often unaware of our desperate need to connect with the true God. Though linear in direction and precise in termini, the Creeper holds infinite possibilities for grace around every corner, every milepost, and trestle. Here on this trail my eyes have been opened on more than one occasion to wells I’d never noticed before, wells offering the gift of refreshment from a Source completely outside of self. Drink deeply of the Trail’s secrets, as Taylor did. WE will ALWAYS miss Taylor! Forever, until we see him again. His legacy lives on. Click here for the song You Should Be Here, that makes Taylor’s Aunt Allison think about Taylor every time she hears it being played. Click here to listen to a new rendition of an old beloved hymn, sung by The BYU Noteworthy Members, 9 “angel-like” women singing out in nature by a river. A Win For The Guinn Family And Kate’s Club Just Look What Kids Can Do! WOW! $20,0002.69 = A Win for The Guinn Family and Kate’s Club! Just look at what kids can do! You may have read my recent post, Are You Driving? Put The Phone Down, about Marietta triplets, MacKenna, Alyssa, and Issy, along with their mom, Kim, and the huge positive difference they are making in our world in the challenging and onerous aftermath of their Daddy, and Kim’s husband’s passing in 2014. You see, Frank, an Atlanta firefighter, was training for an upcoming race when he was struck and killed by a distracted driver. Age seven at the time, at first, the triplets did not want to talk about their Daddy’s passing, it was just too hard! Thanks to an organization founded in June 2003, Kate’s Club has taught these sisters how to grieve in a healthy way, while moving forward. In addition, Kate’s Club, in Atlanta, Georgia, offers all of their resources free of charge, and they even hold monthly meetings for the grieving parents, which Kim Guinn has shared has been extremely helpful to her. Once the sisters decided that they wanted to give back to Kate’s Club, a plan began to unfold and you can read about it in my earlier post here. The Guinn Family contacted Kid’s Boost The Mission of Kid’s Boost is simple: To create a sustainable cycle of giving by equipping kids to serve others. Mrs. Stocks, the founder Of Kid’s Boost, believes that kids of all ages have the innate need and desire to do something great in the world. So, Kid’s Boost offered The Guinn Family $100.00 to begin their plan. 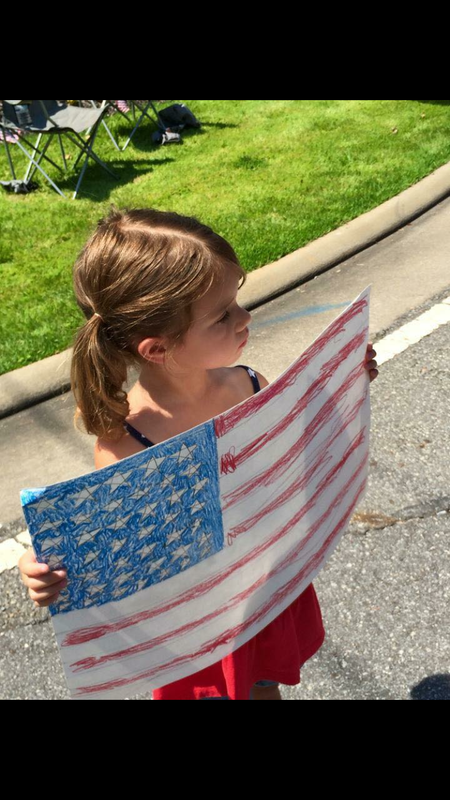 Long story short, the first annual Running thru The Flames 5K held this past Sunday on September 11, 2016, in Marietta, Georgia, raised $20,002.69…$15,002.69 more than their goal of $5,000!!! Do you have kids or grandkids? Would you like to see them more confident? What is important to your child? THINK BIG! Contact Kid’s Boost and they will help you empower your kids to do great things to give back in fun ways. Do you know someone who is struggling with the loss of a child or a parent? If so, encourage them to contact Kate’s Club. This $20,000+ raised by The Guinn triplets will fund camps, outings, parental resources, all kinds of great things, all in the name of helping families who are grieving the loss of a family precious member. 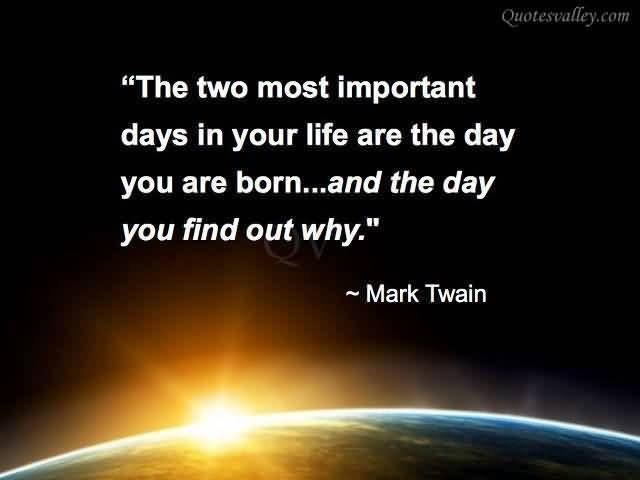 And finally, remember that TODAY is a gift, and that is why we call it “The Present”. Click here to read one of my favorite posts: The Simple Things. Make Today A Great Day! Author JoanPosted on September 14, 2016 Categories Change, children, encourage, family, feelings, fitness, freedom, grief, hope, inspire, Joan Page, Joan Walker Page, learn, legacy, love, tears, tragedyTags adventure, adversity, death, family, friends, giving, grief, hope, Joan Page, Joan Walker Page, legacy, life, pain, young people making a difference1 Comment on A Win For The Guinn Family And Kate’s Club Just Look What Kids Can Do! 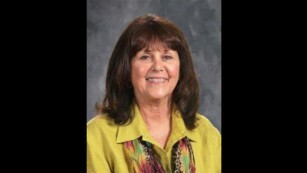 There is a new angel from Indiana, and the sudden passing of Mrs. Susan Jordan got me thinking about my career as an educator. 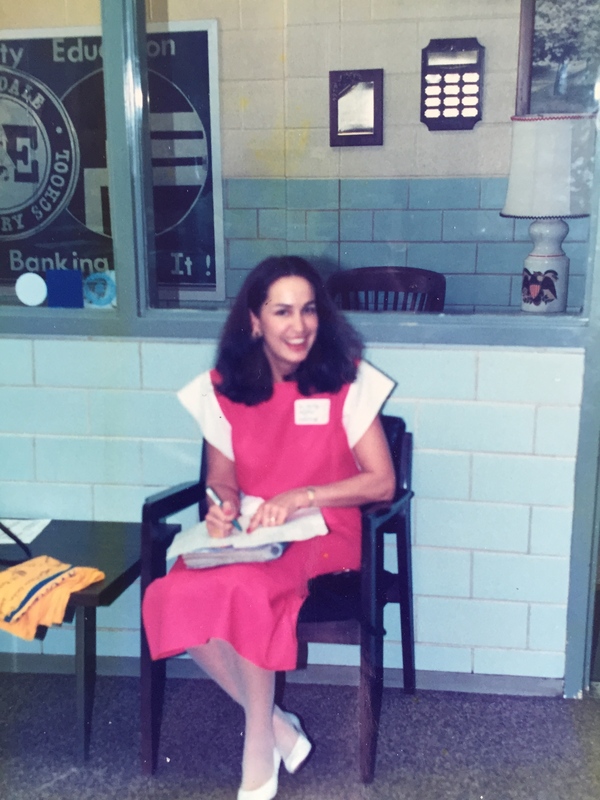 Nearly three decades ago, after several years as a Classroom Teacher, I found myself in a Lead Teacher for Student Services (LTSS) position at Avondale Elementary, in DeKalb County. As a LTSS, one of my main responsibilities was to be a liaison between the home and the school. 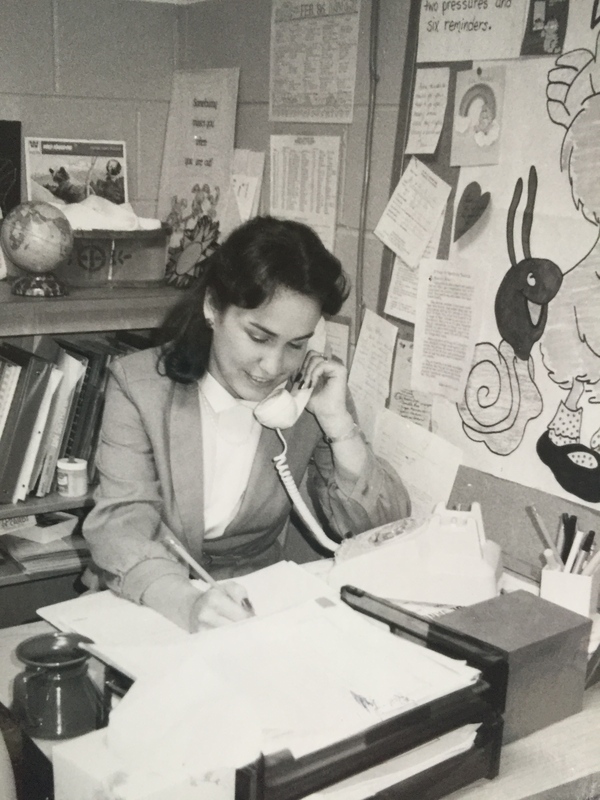 Many of our students did not have home phones or cars, so connecting with the parents proved to be very difficult. The “teacher’s note” did not always arrive into the hands of the Mom of the home. Emails and texts were nonexistent. I loved this job and one of my favorite parts of it was to be on bus duty every morning and every afternoon, without fail. When our friends, Ed and Cathy announced in our small group at church recently that a former principal of their daughter’s, Mrs. Susan Jordan was killed in a freak accident related to bus duty, my heart went straight back to those years of greeting and giving farewells to our students day in and day out. Susan Jordan will be greatly missed! On January 26, 2016, Jordan died instantly while pushing school children out of harm’s way when a bus jumped the curb in front of the school. The principal at Amy Beverland Elementary School, for nearly two decades, Jordan was beloved by all, students, parents, and staff, alike. Susan Jordan, age 69, has left a legacy that will be emulated and remembered for generations to come. This is such a devastating story, a tremendous loss, for sure. It is also a good reminder that this life is no dress rehearsal, and we only get one chance to leave the kind of legacy we would like to leave. 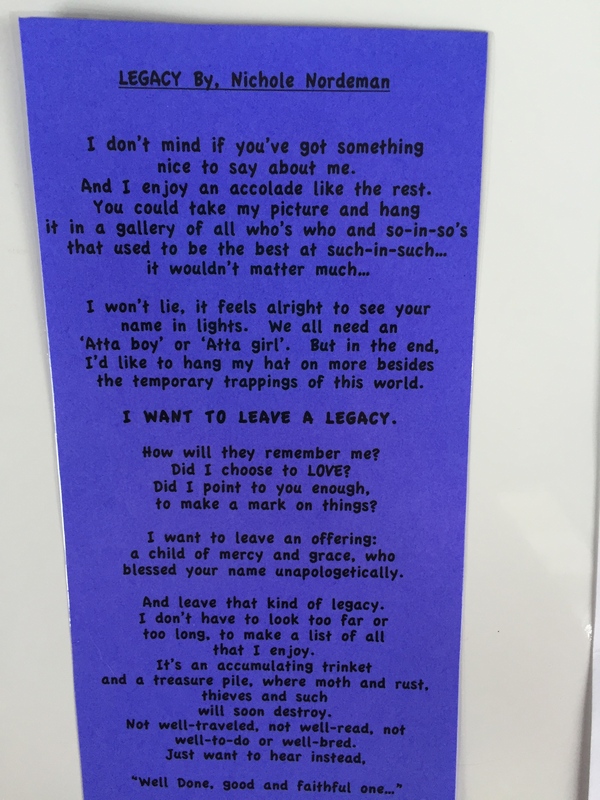 What Kind Of Legacy will you and I leave behind when it is our time to pass on? What Feeds You And Me? Let’s Follow Our Heartsong. There is no doubt that there is a lot of evil, a ton of loss, in our world today, what with the continued, enormous conflict in the Middle East, not to mention the very recent terror attacks in both Paris, France and San Bernardino, California, only 19 days and 5,000 miles apart from each other. It seems their greatest delight must lie in horrifying others. Their goal-fear, our reaction-fear… is a normal response to the circumstances in our world today. Despite a rare, debilitative disease (dysautonomic mitochondrial myopathy) Mattie managed to publish five poetry books before his passing at the age of 13. [pullquote]We are each Angels-in-the-making, and that is why we can see and honor in others, such as Mattie, the goal that each of us is traveling toward. 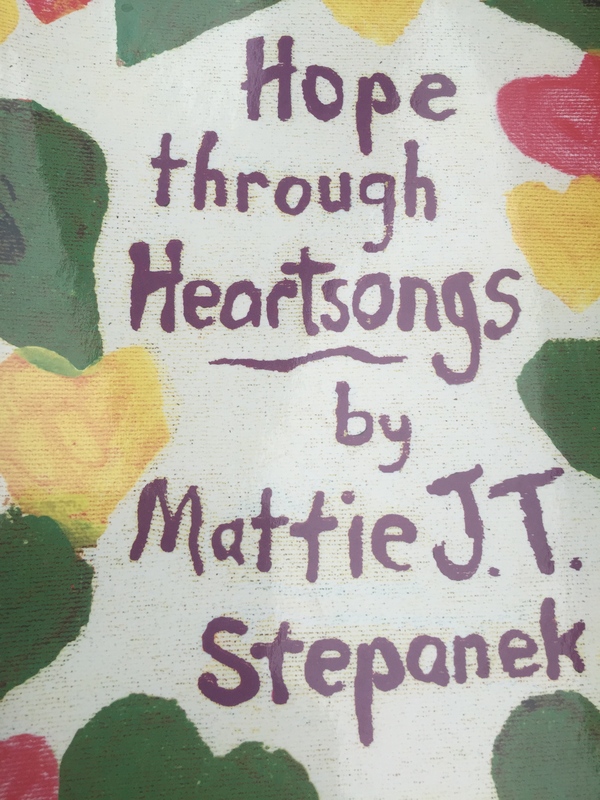 Mattie reminds us of that goal and makes us thankful.” Gary Zukav in the Foreword to Mattie’s 2001 Best Seller Hope Through Heartsongs[/pullquote] Mattie began writing poetry at the age of three to cope with the death of his brother of this same genetic disease. Did you know? Mattie’s fans included Jimmy Carter and Oprah Winfrey. He was well-known for his promotion of peace. As I consider Mattie’s heart and work, I am inspired to “fight back” with goodness. But how does one do that? 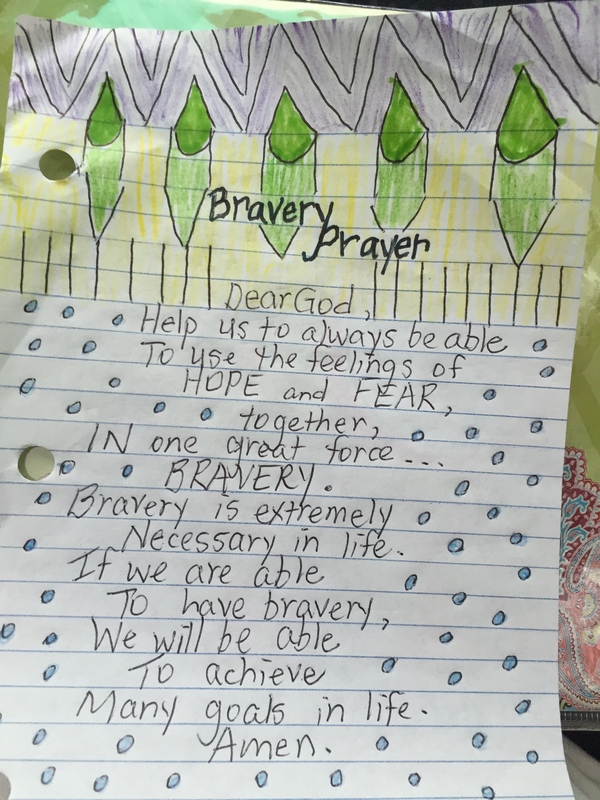 In Mattie’s poem entitled “Bravery Prayer”, he suggests we pair hope and fear together in one great force, leading to Bravery! So with that old story, along with the courageous, short life of Mattie Stepanek, I ask us again…What feeds you and me? 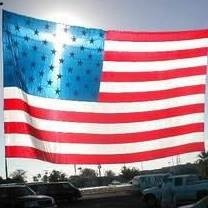 Whether we fear tornadoes, death, terrorists, or tax collectors, let’s follow our heart song. Let’s start within our own families, in our homes, today. Author JoanPosted on January 6, 2016 January 6, 2016 Categories books, encourage, inspire, Joan Page, Joan Walker Page, learn, Mattie Stepanek, special needs, terrorism, tragedyTags adversity, faith, God, Joan Page, Joan Walker Page, life, young people making a difference2 Comments on What Feeds You And Me? Let’s Follow Our Heartsong. 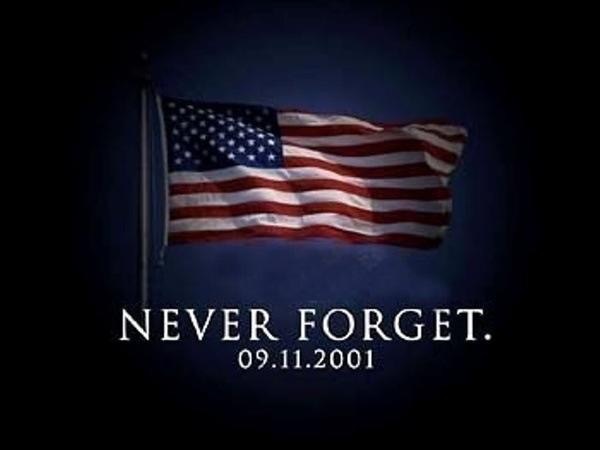 unimaginable tragedy that was 9/11, September 11, 2001. The attacks resulted in the deaths of 2,996 people, including the 19 hijackers. The 2,977 victims included 246 on the four planes (from which there were no survivors), 2,606 in the World Trade Center and in the surrounding area, and 125 at the Pentagon. Nearly all of those who perished were civilians with the exceptions of 72 law enforcement officers, 343 firefighters, and 55 military personnel who died in the attacks. After New York, New Jersey lost the most state citizens, with the city of Hoboken having the most citizens that died in the attacks. Even after a tragedy of this enormous magnitude, life carries on, somehow. Two of my sisters, along with many friends, and our son-in-law celebrate their birthdays during the month of September. One of my dearest friends from my college days, Susan, celebrates her day of birth on September 11th. I cannot help but take pause and consider all the birthdays, the many other special celebrations that have been missed in the past fourteen years because these hateful, hate-filled people made the choice on that Tuesday morning to end their own lives while taking the lives of thousands. This brings to mind my big brother, John Wade, a Marine who served in Vietnam, making it out alive, now Dad to three and GrandDad to three more. 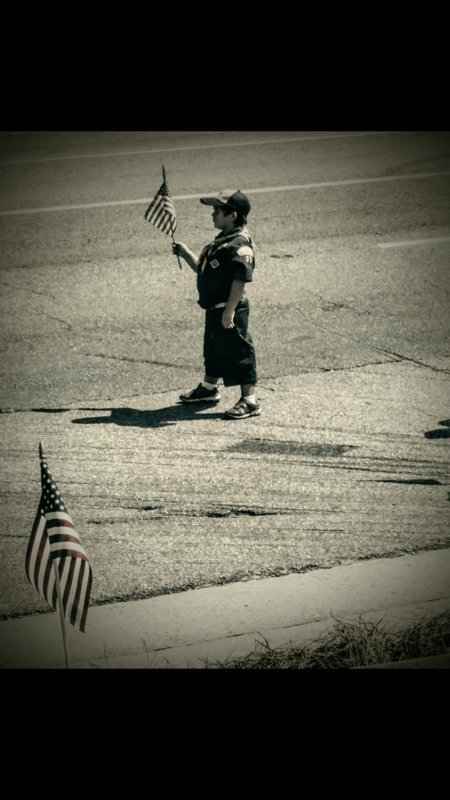 It reminds me of my childhood friend, Betty Lou’s brother, Mike who died in Vietnam at the young age of 18. Freedom Is Not Free. 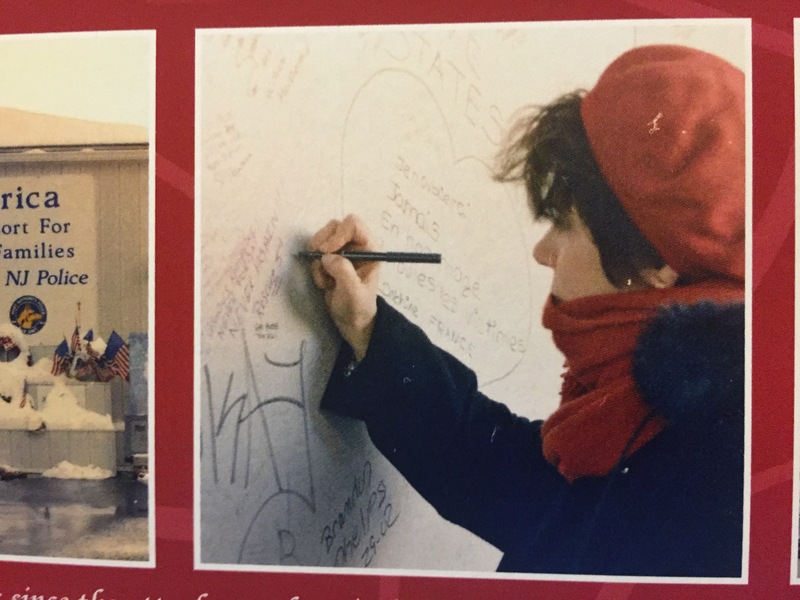 Our friend, JoAnn writes on the wall in the makeshift memorial fourteen months following 9/11. 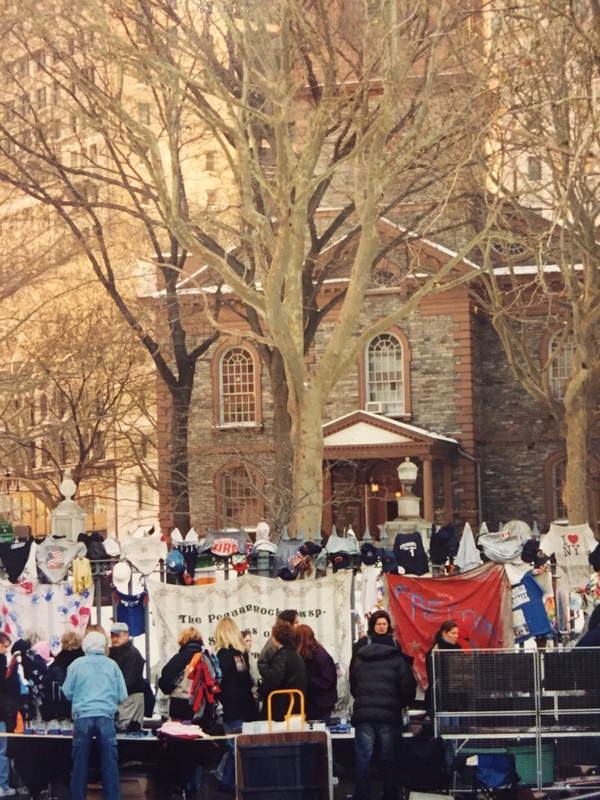 New York City, fourteen months after 9/11 on December 7, 2002. A notation I made in my Bible on December 7, 2002. 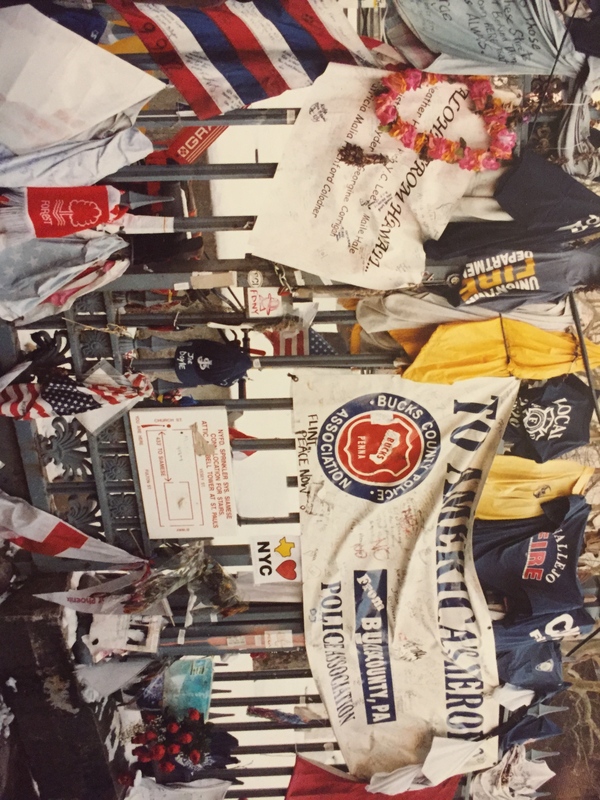 While I have not had the chance to visit the new 9/11 Memorial Museum, I did have the chance to visit NYC, December 5-8, 2002 just 14 months after this horrific event with my girlfriends from Tennessee Tech University. Did you know? Over time, verse 91:1 has become known as “the 911 verse”. Ground Zero on 12/7/02As we meandered along the perimeter of the two massive, gaping holes in the ground, which the twin towers had left, we spoke not a word. There were no words. 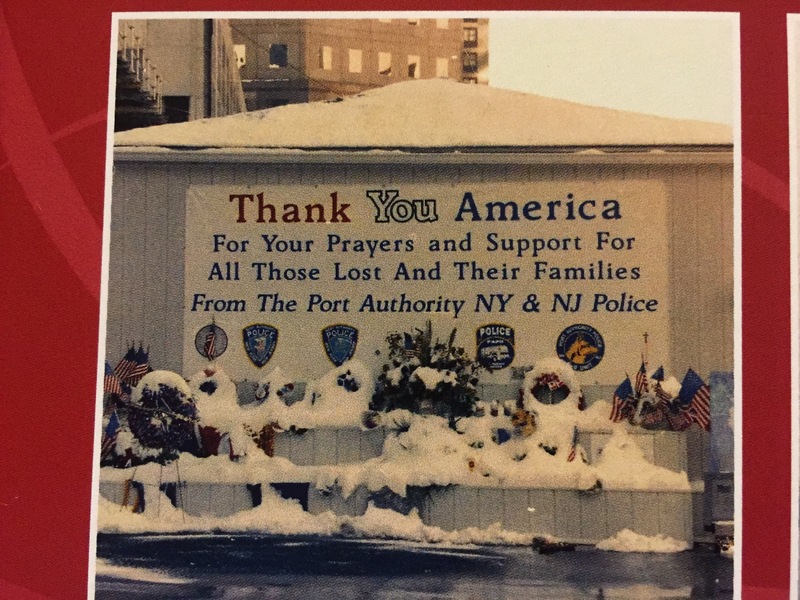 It was a frigid, wintry day, still we moved very slowly, sign-to-sign, picture-to-picture of those loved ones lost. We’re living in a fearful time. Since 9/11, people have become more afraid than ever before, because of terrorism. There’s a lot of confusion about evil, where it’s all coming from.” Charles Stanley A couple of us went into a store to buy warmer socks. We stayed there a long time, freezing tears making their way down our cheeks. 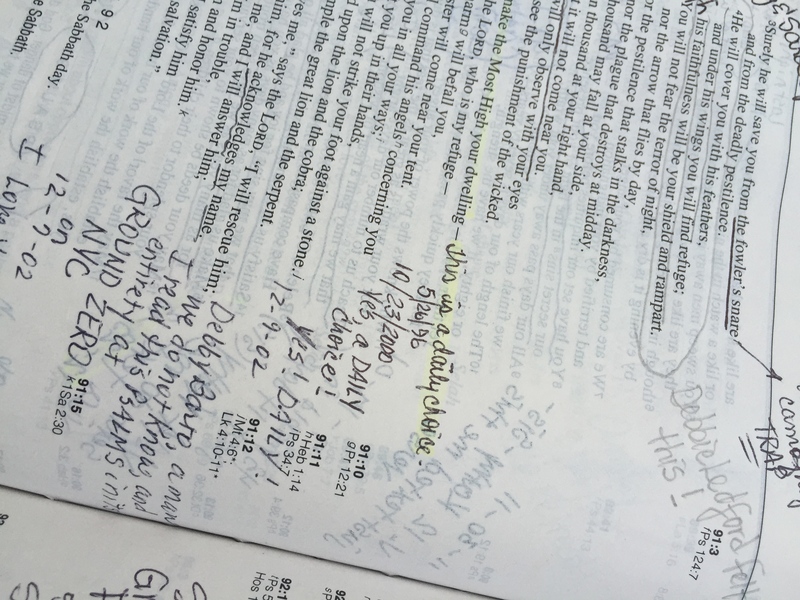 A man was reading Psalm Chapter 91 aloud and we stopped to listen. 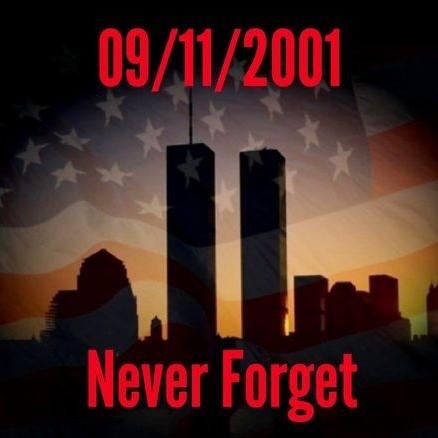 How will we consider the depths of loss that occurred on 9/11/01? How will we look inside ourselves making an intentional choice to live in a kind and compassionate way towards the humans in our path?